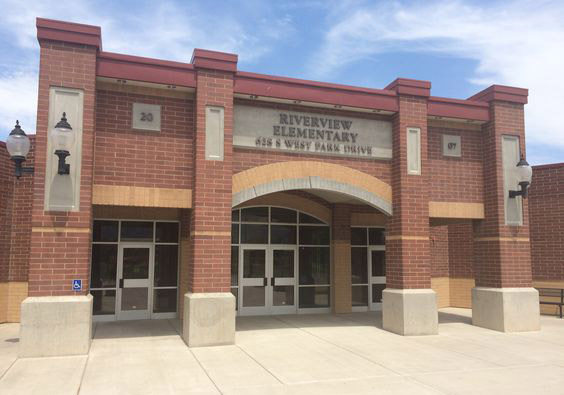 Riverview Elementary has been involved in a very successful service project! Service is a great opportunity to teach students about being grateful for the things we have. We want to celebrate being thoughtful of others by having a Christmas Kick-Off Week. Dec. 22nd – Prepare for a ‘Long Winter’s Nap’ – wear pajamas. School Christmas sing-a-long at 9:30. Thank You to Nebo Foundation! Nebo Foundation approved our grant of $1,000 and we are expanding our guided reading library with non-fiction short reads for readers from level A to Z. This purchase helps us continue our aim of schooling at Riverview..."for every student to gain at least a year's worth of learning for a year's input." Short-reads allow teachers to have a small-group lesson that can be completed in 20 min. with the focus on understanding text complexity. Thank you Nebo Foundation for your generous support of our efforts! Free Christmas dinner December 16th, 2016. Please click on the attached flyer for further information. The 6th grade orchestra performed for Riverview students. The orchestra performed Three Blind Mice, Are You Sleeping, Mary Had A Little Lamb, Silent Night, What Child Is This, Ode To Joy, and Jolly Old St. Nicolas. Riverview students had a fun time singing along to Jingle Bells. Thank you 6th grade orchestra for all of your time and hard work. It was a wonderful concert! Riverview third graders learned about the many ways other countries celebrate Christmas. Students chose a country and created items to represent what the country celebrates and then wrote about the celebrations. Students had a great time learning about other countries celebrations. Third and fourth grade students at Riverview attended the Brigham Young University basketball game. Students had a great time showing their good sportsmanship and meeting Cosmo at the game!